It's taken five and a half years for an online Street Fighter game to reach Wii. In that time, Xbox 360 and PS3 owners have had five different SF online titles — six, if you count Super Street Fighter IV: Arcade Edition. Heck, even 3DS has Super Street Fighter IV: 3D Edition. Wii owners, for their sins, get an online-enabled Mega Drive game. Life can be cruel sometimes. The game in question is Super Street Fighter II. In its day one of the most eagerly awaited releases ever, it added four new characters to its cast of world warriors, plus a new combo system, updated stages and retooled special moves. 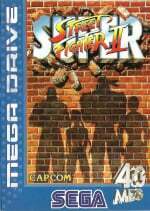 Released head to head against Super Street Fighter II on SNES, the Mega Drive version came on a 40 Megabit cartridge but still suffered some compromises. Sound is noticeably tinnier, particularly voices and stage sound effects — Dhalsim's elephants sound more like surprised infants — and the graphics take on a slightly garish hue. But beneath its presentation slights, it's still a tightly honed and often riveting fighter. 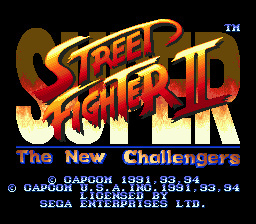 Being the last SF before Capcom introduced super moves in Super Street Fighter II Turbo — which never got a 16-bit release, so won't make it to VC — means there's no meter-building, so the start of each round is a true reset to a level playing field. The Street Fighter staples of zoning, mix-ups and wake-up games are all here, and all as engaging as ever, particularly with a second player. Take on the included tournament mode and, even nearly 20 years after release, it still captivates a crowd. SEGA's version includes the same feature set as its Super Nintendo counterpart with the addition of an extra speed setting, which barely makes a dent in the usual 50Hz presentation. Staying true to its heritage, large borders surround the game screen, though you soon learn to compensate for the slower speed. So far, so similar to the SNES release, but the real unique selling point here is the online play, a first for any Virtual Console game outside Japan (the arcade version of Puyo Puyo was the first online VC game, but was Japan-only.) Getting online is easy — a pop-up menu before the title screen gives you the option — and you can choose to battle a stranger or a friend, as long as you swap those Friend Codes of course. It's all very basic, with no communication or names displayed; unless playing a friend you never know who you're playing against, and that takes some of the magic away from the experience. You can play the same opponent immediately after a fight, but there's no way to add them to a rivals list or even thank them for a good game. Connect, fight, disconnect; it's all rather soulless. Thankfully the online play is mostly smooth, though we did hit a few rough patches. Sadly as this is 50Hz that pretty much rules out cross-continent online play, so you won't be able to settle transatlantic grudges when the game hits North America. Having taken so long to get here, the first online Street Fighter for Wii is a mixed bag. The core game is as enjoyable and finely tuned as ever, and it's got all the features of the SNES version but with the addition of online play. The internet component is truly barebones though, with only single matches against anonymous opponents to keep your interest. Five years ago we could have said the online play was a good starting point for future titles, but after all this time it feels more like justification for Capcom's choice not to bring an online Street Fighter to Wii sooner. If it allowed me to play with friends I'd buy it. When it's just random players it's not to different from fighting a hard (Sometimes) computer player. 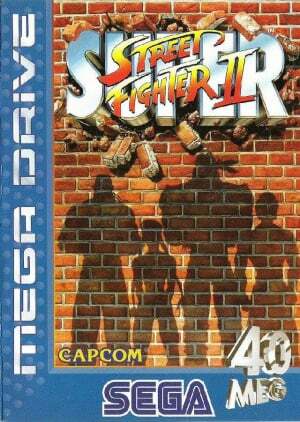 I wonder, out of all the StreetFighter II versions, why make the Genesis one online? It is known to be the worst out of the bunch, even if it is a little updated. I guess being a Wii owner is a sin. I gave this a go online over the weekend and was quite impressed with the level of opponents I faced. Unlike Tatsunoko Vs Capcom, where the majority of people just stood there hitting the same attack button, I found myself facing some very challenging and entertaining opponents picking from all characters, rather than just Ryu and Ken. It true that it is pretty basic and souless, though, but I've enjoyed it for actually being able to play some decent Street Fighter players for a change. Now that all the console versions of this game are available, I think they should consider the arcade version of Super Turbo for their next release. Yikes! I was originally interested because of the online component but I will not be getting this one after/if it gets to the States. @SkywardLink98 You can fight against friends — as the review says, "you can choose to battle a stranger or a friend, as long as you swap those Friend Codes of course." @DJM it's SEGA-published so it was their decision to make it online, not Capcom's, form what I gather. @madgear I too have had some good matches on here, just wish there were a bit more personality to it — had some great fights against a strong Guile on Friday, but will never know who it was! Since the 50Hz takes away from the game, and is only present in the European release, does that mean the U.S. version will be better? If so, should I add a point on to that score for my region? Wow, this is pretty sad. Is there even a "username" to identify or anything? Doesn't this basically amount to playing the CPU with a more randomized difficulty? In a different universe where Nintendo understood the importance of the new online market this would have been a great release just after wiiware started so that others could follow and improve up until now; But now?! like this?! what a let down. @Ren Nope, no username at all. Total anonymity! I guess they accomplished their big goal then. No more pedo's trolling the lesser known rehashes of fighting games. The world is a little bit safer now, thanks Nintendo! It was totally worth the complete lack of modern interactivity in your last 6 years of... interactive video games. "No more pedo's trolling the lesser known rehashes of fighting games." Haha - it's true, though. They've ruined everything fun on the internet - starting with chat rooms and going right up to online retro Megadrive games. Funny thing is, it's unlikely anyone under the age of 20 will even bother with this title, at least online. Things were better when I were a lad. This is the Virtual Console. The bare minimum is done for our enjoyment even when they are adding new features. Its the way its been since 2006. I'll stick with the HD Remix for online play. @madgear Agree about the quality of players online - I played SCE for hours on end when it was released in the 90s, playing through the game with all characters. Playing this game online now, I get the feeling a few other people did the same! @James though the 50Hz thing really does annoy me with the VC, I think the four star speed is ok. What is confusing is that both players have control on the menus but you cant communicate, so it is easy to set the wrong speed, or adjust the strength setting by mistake when you are trying to select a stage. The borders are also annoying, but at least the music is the right speed. Regardless of its shortcomings, I'd still be willing to give this online feature a try. Let's hope it comes stateside soon. Any word on that? Thank you for this brutally honest review, James and a big thank you for going into detail about the PAL conversion. This is so often ommitted from reviews on the internet that it can be a frustrating experience trying to gauge the conversion a particular game got, even when presented with the established patterns of VC channels. It really is a shame that with SEGA/Nintendo now adding features that most definately do not replicate the original gaming experience (i.e. online) they still refuse to address this persistant issue. Once again though, thanks for the very informative review. Wait, we have to pay for our sins? @Betagam7 After reading so many speculative comments about its PAL conversion I had to, really But you're welcome! It's good that we finally got an online classic SF but I never really minded because I'm not even gonna act like I was nearly even good enough to play against people online when it comes to SF. It sounds like you only took points off because the online is bad. Genesis virtual console games never have online to begin with, so how is this a problem? James wasn't reviewing the Genesis version, he was reviewing the VC version and that means looking at it for what is being presented to us in 2012 not what was presented to us in the nineties. If a game is going to implement an online mode then this should be part of the equation when reviewing it. If that online mode is poor or undersupported then the review should say so; and it does. James obviously reviewed the game as it stands on its own and not as part of a table of other people's reviews of earlier games in the series. The best thing to do is read the review he has written and not fixate over the score. Reading the review it's pretty obvious why the game the score it did. @Betagam7 I know the score's not THAT important, but 2012 virtual console games aren't known to have online either. I would expect no online for this, but the fact that it exists makes it better. The game does seem simple, though. The only thing the online needs to do is to be lag free. Other than that, its still a Virtual Console game. Online is one thing; its still the original 2-player mode untouched, but they aren't allowed to add new content to the games. Many games on the VC already could be improved or enhanced with a few minor corrections and alterations. But they're not allowed. Even the original glitches have to remain. Adding communication would count as an alteration. It is lame that VC games can't be made better for our enjoyment but we've had six years to come to terms with this. If only they would release Dreamcast games. Then they could release that special "Matching Service" version of SSF2X/T... probably would be huge though, space-wise. This version was awful in comparison to the standout SNES version....Nintendo in this case along with many other cases NintenDID what Genesis didn't. Actually, the reason that they put this on the Genesis version might be since this version was already sort of made for it. Remember the Genesis XBAND Modem? This was one of the games compatible with it, and it seems like the same deal where you can't see the other person's name and such. You're talking about a game that may as well do far better on Wii U eShop. Not just online, but remade entirely for modern standards. But overall SSFIV's online was far more experimental than mandatory, as is the case with Wii Shop in general. Yet I'd say Capcom doesn't have any real business sense anyway as they only found the 3D on the 3DS to be more profitable than the system itself. When they'll finally settle into Wii U games, it'll be under new management as the current one are just being clueless about its potential not being profitable. Silly me thinking this was online in NA. So this VC release will North America? Are you sure? Cuz I want it. Thanks for the description of the (bare-bones) online. @Bass_X0 There are alterations made to VC games though. Palette changes to remove excessive flashing, occasional odd edits (Yo-Yo in StarTropics changing to Star) and sometimes even bug fixes (Phantasy Star IV no longer having character skills and stats getting corrupted if they reach level 99). Those alterations were necessary for those games to be released in the present day, not just done to make the game more entertaining. Didn't know about Phantasy Star IV though - Sega must be more willing or allowed by Nintendo to alter their own games. If it was on a Nintendo console instead, I doubt it would have been fixed. But otherwise, Sega is doing what Nintendoesn't want to do, on their own console... and they have the nerve to question consumers' VC support. I love Street Fighter but i already have the Nintendo version of this, i'd get the arcade version if it became available, it's highly unlikely that it will though. 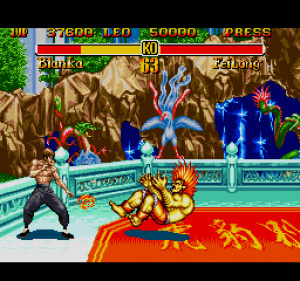 The retro aspect of things is what i like about the Wii, i far prefer the old Street Fighters to the new ones the graphical style of the latest versions puts me off totally, hopefully the virtual console and arcade will continue to improve on the Wii U.
this is Cack compared to the original arcade version,why the heck is this on the VC and not the arcade version? 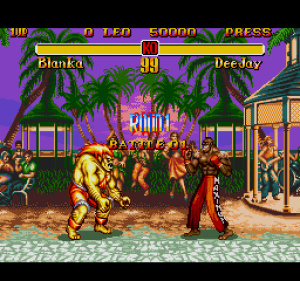 It was the introduction of things like Super Meters, Ultra-combos, forced tag-teams and Super Arts that ruined the once pure Street Fighter experience for me. Those extra bars on the screen, the convoluted player selection and all those weird Arts choices/settings, that I still have no clue about whatsoever, kinda spoiled the best fighting game ever imo. I just want to pick a fighter and fight against another fighter 1 on 1 without having to worry about multiple extra bars and Arts that I really don't care about. I think the tag-team thing is great for group sessions where you have a few friends round but I'd like to have the choice to play simple 1 on 1 matches when I'm just playing on my own or against one mate. I want the version arcade but i know it will never happen. Now Sega needs to re-release their 6 button Genesis pad that would compatible for the Wii. Got this today, and I really love it! The online is smooth, and I like how it actually saves your scores and controller configuration. I will even go to say that this is the best Street fighter on the wii VC. Though of course SSFIV3D is better in every way, but at least wii owners don't get completely left out. I think this may be the wii VC's swan song, though. All it needs is a friend option in my opinion. Totally getting it, now. I just downloaded this and am a bit disappointed. I have the SNES version on VC as well and it's the far superior port. I remember owing the actual Genesis version of this and even that seemed faster than what's offered here. Online play is cool, but tough to find other players. Can't seem to figure out a control setting to match my preference on the SNES version either.